The BBC Symphony Orchestra has played a central role at the heart of British musical life since it was established in 1930, Sir Henry Wood being the Orchestra’s inaugural conductor. The Orchestra provides the backbone of the BBC Proms concerts held annually at the Royal Albert Hall in London, with around a dozen concerts each year, including the first night and the widely broadcast ‘Last Night of the Proms.’ The BBC SO has a strong commitment to 20th century and contemporary music, with performances including commissions and premieres from Michael Zev Gordon, Toru Takemitsu, Magnus Lindberg, Per Nørgård, Rolf Hind, Anna Clyne, David Sawer and Jonathan Lloyd. As Associate Orchestra of the Barbican, the BBC SO performs an annual season of concerts there. The BBC SO works regularly with Chief Conductor Sakari Oramo, Semyon Bychkov (Günter Wand Conducting Chair), Conductors Laureate Sir Andrew Davis and Jiří Bĕlohlávek, and Artist in Association Oliver Knussen as well conductors of international repute. The Orchestra also tours extensively including Qatar, Japan, South Korea, Taiwan, and Switzerland. Central to the Orchestra’s life are studio recordings for BBC Radio 3 at the Orchestra’s Maida Vale home, some of which are free for the public to attend. Repertoire recorded for commercial release encompasses a wide range from British composers Holst, Elgar, and Musgrave, to complete operas, orchestral music of Elliot Carter and Alexander Goehr conducted by Oliver Knussen, to music of Brett Dean conducted by David Robertson. 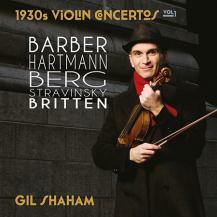 The BBC Symphony Orchestra records for several commercial labels including Bis Records, Deutsche Grammophon, Chandos, and Naxos. 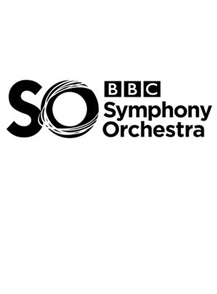 The vast majority of BBC SO concerts are broadcast on BBC Radio 3, streamed live online and available on BBC iPlayer, and a number are televised, giving the BBC Symphony Orchestra the highest broadcast profile of any UK orchestra. The BBC SO has an on going commitment to innovative education work.